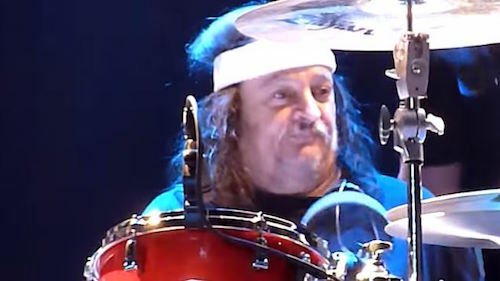 Leonard Haze, the original drummer for long-running Bay Area rockers Y&T, passed away Sunday at his home just a few short days after his birthday. He was 61 years of age. Haze played with the band from their inception through the latter 80's, then rejoined Y&T once again in 2001-2002 before parting ways with the band for good in 2006. "It is with shock and sadness that I type this. Leonard Haze, the legendary drummer, and a guy I spent decades with creating great music together, has passed away at 61. This, just a few days after his birthday. I just woke up to this news, as I'm in Germany, and immediately called his wife, Kelly. She confirmed that Leonard had passed away in his sleep, a few hours ago, sometime between noon and 7:30pm on Sunday, September 11. My deepest condolences to Leonard's family and friends. His impact on the rock scene was well documented.